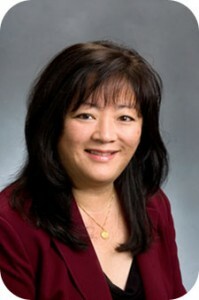 Kendra Daijogo - The Gualco Group, Inc.
Kendra Daijogo has been a member of The Gualco Group, Inc.’s governmental relations team for more than fifteen years and was named a principal in the Firm in 2007. Ms. Daijogo was previously employed by Capitol Weekly, Inc., a state and legislative affairs publication. Her responsibilities included research in the areas of state and local government, Fair Political Practices Commission reporting, and instructional seminars entitled the California Legislative Process and The California Budget Process. Prior to joining Capitol Weekly’s staff, Ms. Daijogo was employed at LegiTech, Inc., a computerized legislative tracking service. Ms. Daijogo began as a staff member and was promoted to the position of Legislative Supervisor. Her duties included management of legislative staff and supervision of daily assignments, monitoring actions of bills in all committees and Senate and Assembly floors, producing and analyzing daily reports to ensure the accuracy of all legislative actions, votes, bill text and analysis in the computer database and providing consultation to clients regarding the capabilities of the service and other related sources of information. Ms. Daijogo received her undergraduate degree in Business Management from the California State University, Sacramento and received her Certificate in Public Relations and Marketing from UC Davis. Ms. Daijogo is a member of Capitol Network, Women In Energy, the Association of Women in Water, Energy and Environment, California Women Lead, the Institute of Governmental Advocates, and the National Association for Female Executives.